A porcelain dental crown may be necessary to rebuild a tooth that has been chipped or broken. The crown fits over the damaged tooth, making it look like new again and strengthening the tooth to its former constitution. It is a fixed prosthetic, meaning that it is permanently cemented over the tooth. 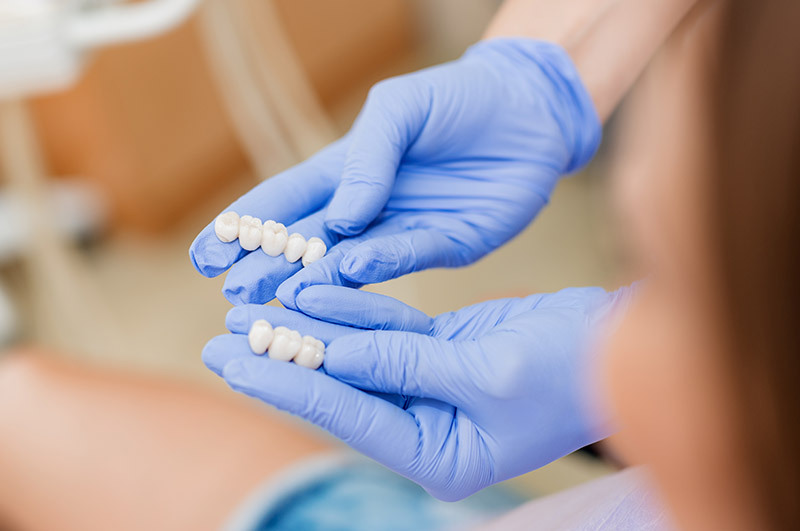 A dental crown made of porcelain is designed to match the color of your teeth to complete a healthy, natural-looking smile. Other crown materials include gold and metal alloys, ceramic, and acrylic which are stronger than porcelain and sometimes preferred over porcelain for capping molars. Crowns are the best way to rebuild a smile that has been damaged by decay, disease, or an accident. Patients who have recently undergone a root canal will also need a crown to cover or “cap” the tooth. Juniper Dental has their porcelain crowns custom-made at a local Northwest dental lab. Call to set up a consultation to get the big, complete smile you are meant to have. It's time to take control of your oral health. The team at Juniper Dental is ready to help you achieve the smile you've always wanted. The smiles say it all.